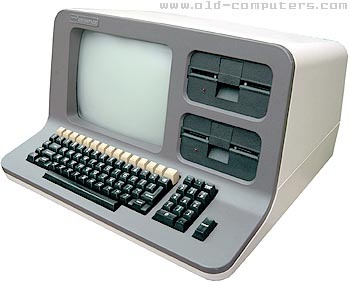 NorthStar Computers was also as The Original Kentucky Fried Computer and made very reliable systems in the late 70s and into the 80s. The Advantage was an all-in-one system produced starting in 1982 and combined the reliable NorthStar 5.25 floppy disc sub-system with 8-bit or 16-bit S-100 bus internal boards, indestructible keyboard and high-resolution display. The DigiBarn also has a hard disk subsystem for the Advantage with multiple hard disks in a "brick" cabinet weighing in at 80+ pounds! Thanks Dave at the Weird Stuff Warehouse for this system!